Ongoing Israeli drilling works, including detonation of rocks, near the village of Wadi Fukin, to the west of Bethlehem, may put the lives of nearby Palestinians at risk, according to village mayor Ahmad Sukkar. Sukkar said, recently, that renewed drilling work by the Israeli authorities in the area also involve the use of heavy explosives to detonate rocks. This, according to him, has put the lives of many Palestinians as well as their properties and homes at risk, as a great amount of stone shrapnel splattered and fell near homes during detonation of rocks. According to WAFA, the mayor also said that detonations work have badly affected water resources in and outside the village, and the outcomes are much worse given the nature of the village and the fact it relies heavily on agriculture. The village is just close to Beitar Illit illegal settlement, one of the largest and most rapidly growing Israeli settlements in the West Bank. 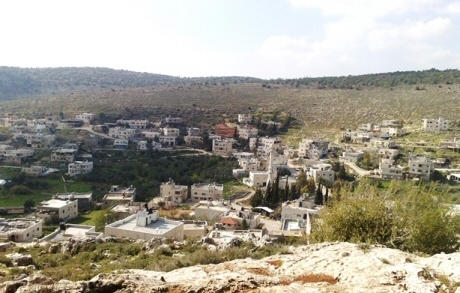 The settlement was established in 1984 on the lands of the Palestinian village of Husan. Settlement activities in the Occupied Palestinian Territories and the Golan Heights, both occupied since 1967, are considered illegal under international law. The settler population in the West Bank is estimated at 531,000: in the late 2012 the population of the West Bank settlements reached 341,400 while in the late 2011 there were 190,423 individuals living in Israeli neighborhoods in East Jerusalem. The Israeli occupation forces (IOF) on Saturday violently attacked a peaceful march organized near al-Aroub refugee camp, north of al-Khalil city, in protest at the appropriation of Beit al-Baraka building by Jewish settlers. Beit al-Baraka used to be a hospital belonging to an American Christian society, which had been providing free medical care for tuberculosis patients since its inception in the early 40s until its closure in 1983. Anti-settlement activist in al-Khalil, Rateb al-Jabour, told the Palestinian Information Center (PIC) that a number of protesters were slightly injured when Israeli soldiers subdued them during a march demanding the protection of Beit al-Baraka building against Judaization. Jabour added that the soldiers violently attacked the protesters outside the hospital building with their rifle butts and declared the area a closed military zone. Father Atallah Hanna, Archbishop of the Palestinian Orthodox Church in Occupied Jerusalem, and foreign activists participated in the march. UN Office for the Coordination of Humanitarian Affairs (OCHA) documented Israeli violations in Occupied Jerusalem and the West Bank since the beginning of 2015. So far in 2015, a total of 417 structures have been demolished by the Israeli authorities in the West Bank, including East Jerusalem, displacing a total of 495 Palestinians including 277 children, OCHA revealed. In a statement, OCHA warned of the escalation of Israeli demolition operations of Palestinian houses and its impact on the humanitarian and security situations in the Palestinian occupied territories. OCHA’s report reviewed the Israeli violations in Palestinian occupied territories during 18-24 August 2015. The Israeli authorities demolished 42 Palestinian-owned structures in Area C and East Jerusalem for lack of Israeli-issued building permits, displacing a total of 54 people, including 33 children, and otherwise affecting some 100 others. This is the largest wave of demolitions in a single week in six months, it documented. It is stated in the report that 88 per cent of the targeted structures (37) were located in four communities in the Jordan Valley (Ad Deir, Khirbet Samra, Fasayil al Wusta, and Jericho city); two structures were located in areas designated by the Israeli authorities as a closed military zone for training, or “firing zone”, in Tubas; and three structures in the Jerusalem governorate in the area of Wadi al Joz (East Jerusalem) and Bir Nabala. During the week, 54 Palestinians, including eight children and two women, were injured across the West Bank in multiple clashes with Israeli forces, it revealed. The report stated that during confrontations, Israeli forces fired teargas canisters, live ammunition, rubber bullets, skunk spray, and sound grenades at Palestinians engaged mainly in stone throwing, and, in some cases, hurling Molotov cocktails. It recorded that Israeli forces arrested 98 Palestinians across the occupied Palestinian territories, including three in the Gaza Strip. The Gaza Strip arrests include two Palestinian merchants arrested as they arrived at the Erez Crossing, after they had received a permit to travel into the West Bank, and one other Palestinian arrested near the fence surrounding Gaza, after crossing into Israel without Israeli authorization. Five Israeli settler attacks resulting in injury to Palestinians or property damage were recorded, including the stoning and injury of a six-year-old girl and vandalism to a souvenir shop, both near Al Ibrahimi Mosque in the Israeli-controlled H2 area of Hebron city; the physical assault of a shepherd who was grazing his sheep in Dura (Hebron) and a Palestinian man standing on the road at the junction of Yatma village (Nablus); and the setting of cultivated land on fire in Burin (Nablus), the report stated. In the Gaza Strip, the report revealed that Israeli forces opened fire towards civilians in the Access Restricted Areas (ARA) on land and at sea, on at least four occasions. No casualties were reported. On one occasion, Israeli forces entered and leveled land inside Gaza forcing farmers to flee the area. Groups of Jewish settlers stormed on Saturday al-Karmel town in al-Khalil in the southern West Bank. Eyewitnesses told the PIC reporter that groups of settlers broke into al-Karmel town to the east of al-Khalil under protection of Israeli occupation forces (IOF). The settlers attempted to perform Talmudic rituals at a water pool in the town while Israeli military vehicles were deployed in location. Repeated settlers’ incursions into the town particularly in the vicinity of the town’s water pool and park have been conducted for confiscation purposes under the claim of being Jewish holy sites. In a similar context, the IOF erected on Saturday morning a military checkpoint at the entrance of al-Aroub refugee camp in northern al-Khalil. 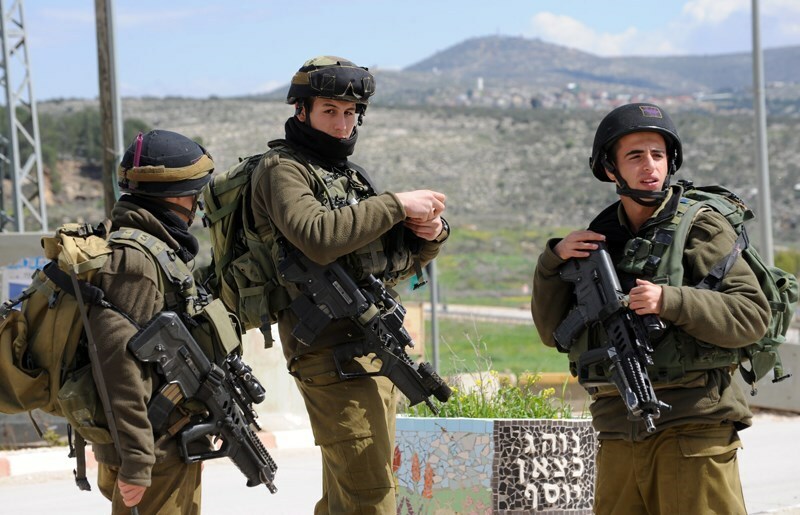 Israeli soldiers invaded, on Sunday at dawn, the town of Silwad, east of the central West Bank city of Ramallah, kidnapped a child, and held his 10-year-old brother in the bathroom while interrogating and threatening him. The army also kidnapped two young men in occupied East Jerusalem. The child, Hamza Shokri Hammad, 15 years of age, was kidnapped after a large number of soldiers smashed the family’s main door, and detained him in one of the rooms after forcing his brother Bilal, 10 years of age, into the bathroom, where he was threatened and interrogated. Hammad was taken prisoner before the soldiers left the property; the family said the army confiscated mobile phones, Game CD’s, in addition to destroying a computer. The family added that the soldiers also took some of Bilal’s toys, and scattered them outside the property. The kidnapped child is the son of Moayyad Hammad, who was taken prisoner many years ago, and was sentenced to seven life terms. Last week, the Israeli Prison Authority denied Hamza the right to visit his imprisoned father under the pretext that he is underage and needs a permit, although under Israeli law, children do not need a permit. Also on Sunday at dawn, soldiers invaded the al-‘Eesawiyya town, in occupied Jerusalem, kidnapped two young Palestinian men, and took them to an interrogation center in the city. The two have been identified as Mahmoud Abdul-Raouf Mahmoud, and ‘Amid ‘Obeid. 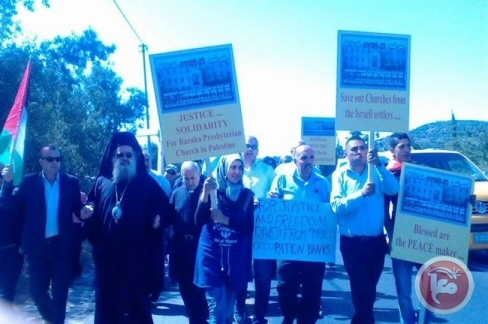 Orthodox Archbishop Atallah Hanna was among a number of political and religious leaders to take part in a march Saturday protesting the purchase, by Israeli settlers, of a Christian church compound in the southern occupied West Bank. The 38-dunam (9.3 acre) compound, known as Beit al-Baraka, is located to the north of al-Arrub refugee camp in the southern West Bank district of Hebron, according to Ma'an. Popular resistance committees organized Saturday's march, which was attended by political figures including MP Fayez al-Saqqa and Fatah spokesperson Osama al-Qawasma, in addition to well-known Palestinian popular resistance activists and religious leaders. Haaretz's investigation earlier this year alleged that a Swedish company established in 2007 had been used to cover up the sale and transfer of Beit al-Baraka in 2012 to a settler organization funded by American millionaire Irving Moskowitz. Haaretz discovered however that, "the Swedish group was established in Stockholm in 2007, and seems to have been used as a cover for transferring the ownership of the compound to the settlers. The group does not seem to have any offices." The company was then dissolved, with ownership handed over to an American nonprofit organization, American Friends of the Everest Foundation, funded by Irving Moskowitz and working towards the eventual "Judaization" of occupied East Jerusalem. The Israeli nature authority objected to the decision of the war ministry to resume construction of the separation barrier near Beit Jala, south of Occupied Jerusalem, after the Supreme Court had invalidated the building of the barrier in that region and ordered the government to reconsider it, Haaretz reported Thursday. A few days ago the Israeli occupation authorities (IOA) uprooted olive trees along the wall's route. On Wednesday the IOA carried out large-scale excavations in the area. The Palestinians along with adjacent Christian monasteries and Israelis residing in the illegal settlement of Gush Etzion have objected to the construction of the separation wall saying it rather affects the environment and is unnecessary for Israel’s security. 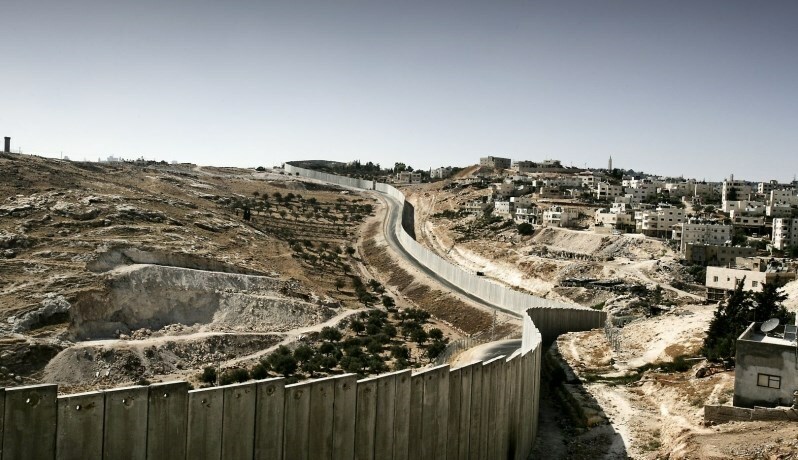 The IOA resumed construction of the wall after years of deliberations with the Supreme Court that culminated in recommendations to reconsider the planned route of the separation barrier in the area. The war ministry, however, resumed its work on the wall without altering its route, promising to leave a 200-meter gap in the wall near the local monasteries. Dozens of Palestinians protested on Thursday, in the Bedouin village of Umm al-Hiran near the town of Hura, in the Negev, as Israel's construction of a Jewish town on the village's land continues, local sources said. The Umm al-Hiran community -- around 700 strong -- is unrecognized by the Israeli government and residents' lands were claimed by the state in 2013 in order to make way for the expansion of the Beersheba metropolitan area. As a march set off from the village and moved towards the site of construction, protesters said they were able to force Israeli police to remove the bulldozers from the area. Leaders and members of national and Islamic parties, Palestinian members of the Knesset, members of committees for Palestinians in the Negev, and Jewish-Israelis took part in the march. 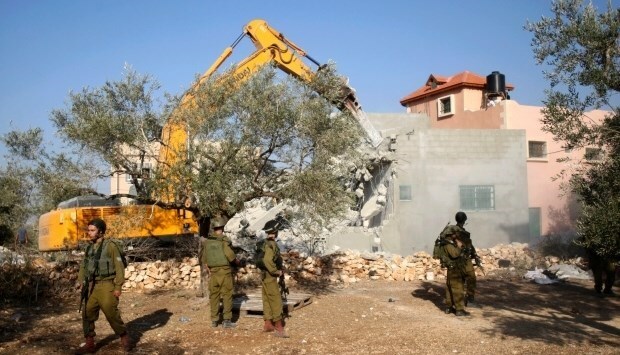 Sources told Ma'an News Agency that the contractor responsible for razing the village is a Palestinian citizen of Israel from the Negev, and locals have condemned the use of Palestinian contractors against their people by the Israeli authorities. Participants of Thursday's demonstration called for launching an international media campaign in support of Umm al-Hiran and other villages threatened with land confiscation in order to pressure Israeli authorities to stop longstanding policies to displace Palestinian Bedouins. Umm al-Hiran residents are a fraction of the thousands of Bedouins living in villages that the Israeli government does not recognize and are at risk of displacement in the Negev due to Israeli policies that critics argue amount to ethnic cleansing. The community's residents appealed their displacement in court earlier this year on the grounds that the Israeli military administration ordered the community to be moved to the area in 1956, but the appeal was rejected. On Sunday, Israeli excavators began work on infrastructure for the Jewish-only town in Umm al-Hiran, building a new road under heavy protection of Israeli forces, locals told Ma'an at the time. Knesset Member Talab Abu Arar described the Israeli move as racist. "Racism has become crystal clear in Umm al-Hiran as a Jewish settlement Hiran is being built on the ruins of the Arab Umm al-Hiran village," Abu Arar told Ma'an on Sunday. He added that Israeli courts and authorities ignored the rights of Palestinians and worked towards confining them to a few recognized towns and denying their rights. 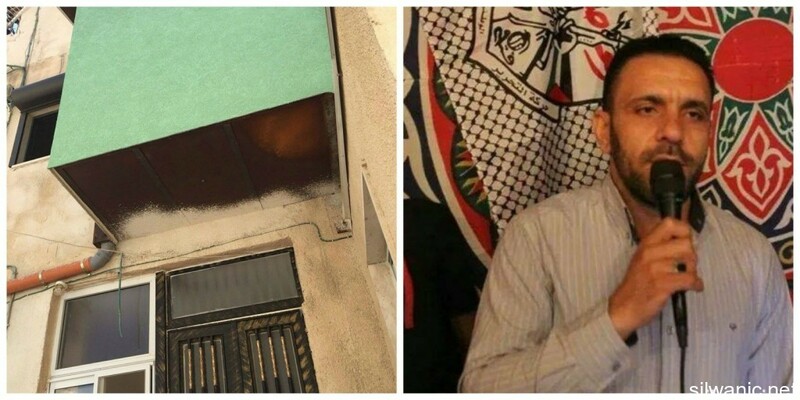 Israeli Ateret Cohanim Association took control over a Palestinian new building in Batn al-Hawa area in the Silwan neighborhood of occupied Jerusalem, claiming that it was bought from its owner Jamal Sarhan. 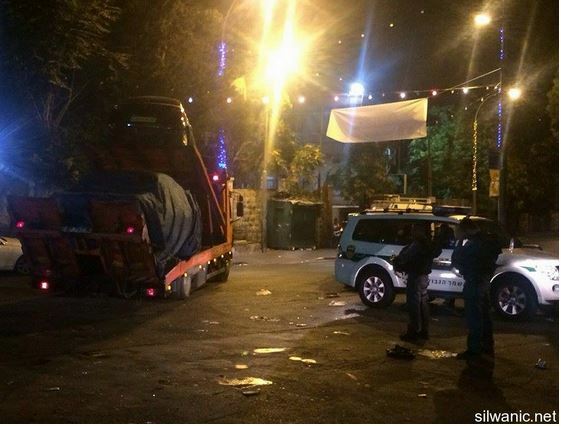 The Jerusalemite monitoring group Wadi Hilweh Information Center clarified that more than 60 settlers stormed the neighborhood at 2:30 a.m. and took control over a building belonging to Jamal Sarhan under Israeli police protection. 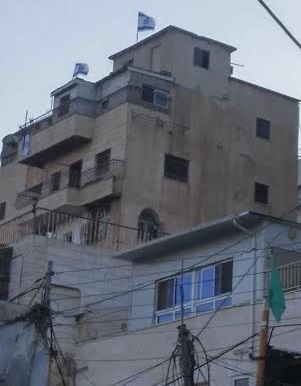 The settlers then fitted bars on the windows before they raised an Israeli flag on the rooftop. The five-story building, according to the center, consists of 12 apartments. The settlers took control of four floors as one of the Jerusalemite tenants refused to evacuate his apartment. The five-story building is considered the seventh and biggest settler outpost in Batn al-Hawa. The first one was established in 2005 after Israeli settlers seized a building known as Yonatan. Beit HaDvash (Honey House) was the second settler outpost. Three more outposts were established in 2014 and one in 2015. 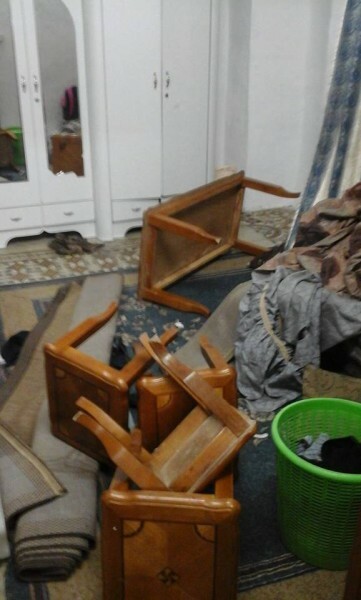 A Palestinian family whose home was raided in a pre-dawn attack on Wednesday said that Israeli troops ransacked the home, destroying furniture and stealing thousands of dollars worth of cash and valuables. The Israeli military told reporters with the Ma'an News Agency that they had "investigated the claim" and "found no conclusive evidence" that the theft occurred. But the Karaki family, whose home was invaded by dozens of soldiers while the family was asleep in bed, claims otherwise. For four hours, between 1 and 5 am on Wednesday, the troops attacked the home - first blowing up the door, then going from room to room tossing belongings around and using police dogs to tear the home apart. The soldiers then abducted 18-year old Hilmi Karaki, and took him to an unknown destination. In addition, the family claims that the soldiers who attacked the parents' bedroom stole over $5,000 in cash, and jewelry worth more than $2,000. Israeli soldiers have been accused on hundreds of occasions of pocketing Palestinians' cash and valuables during the illegal home raids that take place nightly throughout the West Bank. But no soldiers have ever been charged with these thefts - usually it is the word of an Israeli soldier against that of a Palestinian civilian, and Israeli courts are required to give more weight to testimony by soldiers. Hilmi Karaki was just one of 31 Palestinians abducted from his home during the night raids all over the West Bank on Wednesday morning. The Israeli occupation army has issued orders to evacuate and destroy the Ainoun nature reserve near Tubas city, north of the West Bank, at the pretext it is located in a closed military zone. Local sources reported that Israeli troops and employees from the Israeli army's civil administration notified the Palestinian officials in charge of the reserve of military orders to evacuate the reserve and bulldoze it. The Palestinians would also not be allowed to enter the territory after its evacuation, according to a notice delivered to the reserve's management. 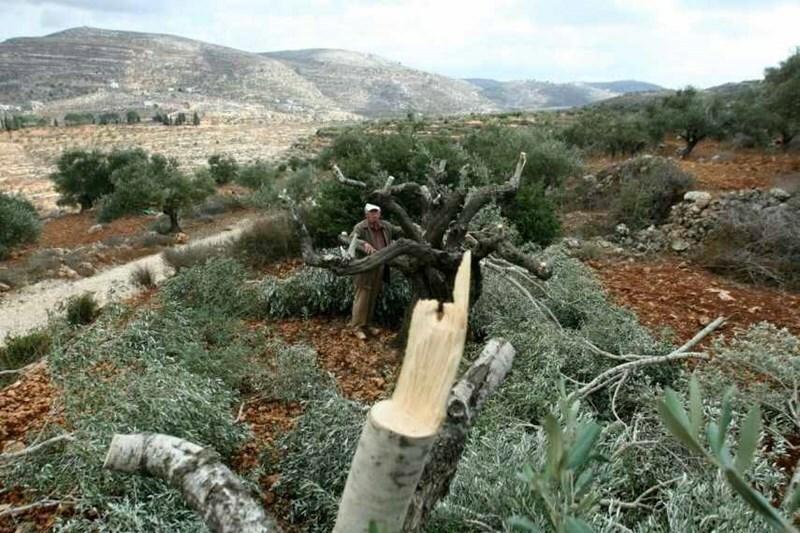 Head of the Wadi Maleh local council Aref Daraghmeh told Quds Press that the Israeli army had destroyed vast tracts of the reserve several times before and uprooted thousands of its forest trees. Daraghmeh added that the Israeli army also damaged and confiscated on several occasions equipment used to supply the reserve with water. Such reserves are supervised by the directorate of agriculture in Tubas, which also works on cultivating and improving them as part of a plan carried out by the Palestinian ministry of agriculture to green Palestine. Joint crews from the occupation municipality and Israeli forces raided on Wednesday the house of Adnan Gheith, secretary of Fateh Movement in Jerusalem, in the “Middle Neighborhood” in Silwan. Adnan Gheith explained to Wadi Hilweh Information Center that the occupation forces along with the municipality crews raided the family’s building that consists of three floors and took pictures from the outside under the pretext of violation of building; Gheith pointed out that the building has been established for 80 years and some of it for 25 years and the municipality’s claims were untrue. Gheith added that the forces attempted to break-into his house to take pictures from the inside which resulted into the breakout of verbal altercations and clashes using hands between the forces and residents. He also explained that the forces assaulted his brother Bilal and handed him an order for interrogation for next Tuesday. It is noteworthy that 17 individuals live in the building where most of them are children. The municipality had handed Adnan’s family an administrative demolition order while he was under administrative arrest. The policy of harassing Gheith family is among the policy of harassing Jerusalemite activists as the Israeli police sent lists of names to the municipality and other organizations that included names of Jerusalemites accused of “security cases” in order to carry out “punitive measures” against them or their families; note that these lists were described as “black lists”. The occupation municipality’s crews handed an administrative demolition order to the house of Salah Maragha in the Middle Neighborhood in Silwan. The center was informed that the 85-square meters house was built in 1994 and consists of two rooms and their facilities; note that 4 individuals live in the house. The municipality’s crews also hung a demolition order on another house in the Middle Neighborhood. The house is 100-square meters and the family only moved in at the beginning of the current year. 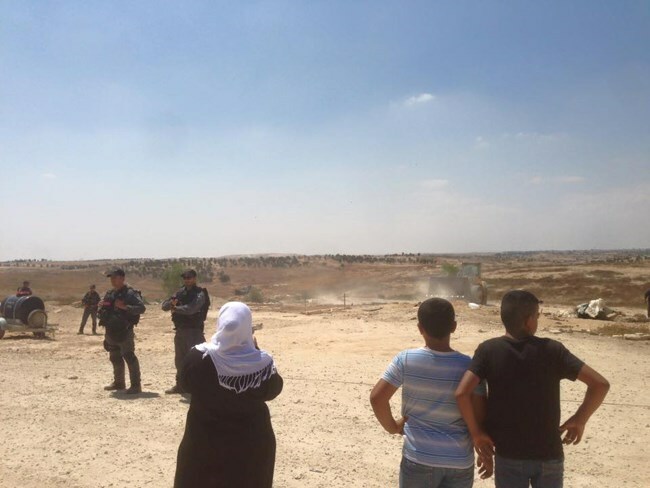 Israeli bulldozers razed at noon Wednesday al-Araqib village in the Negev to the south of 1948 occupied Palestine for the 88th time since 2010. The activist Sulaiman al-Araqib told 1948 Palestinians website that Israeli forces raided at noon the village and evacuated its inhabitants under weapon threat. The demolition of Araqib village along with many other areas in the Negev is part of the Israeli plan to expel more than 120 thousand Palestinians from their homes to establish new Jewish settlements on the ruins of the so-called unrecognized Palestinian villages. 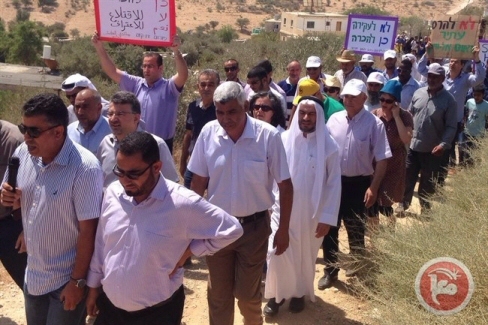 The Bedouin inhabitants of the village have been organizing a weekly demonstration in protest against the demolition of their houses at the hands of Israeli forces. On Sundays, the inhabitants take to the streets near Beersheba demanding a halt to the Israeli violations against al-Araqib town. The Israeli authorities do not recognize 51 villages in the Negev. All of which have already been demolished by Israeli forces. 12 million dunums is the estimated area of the Negev. 11 million dunums have been confiscated by Israel since 1948. Only a million was left for Bedouins in the region, however; Israel is seeking to displace its remaining inhabitants. The Israeli occupation bulldozers on Wednesday morning knocked down residential and commercial structures in Jerusalem’s town of al-Izriya under the pretext of unlicensed construction. Activist Hani Halabiyeh said the Israeli occupation forces (IOF), escorted by civil administration crews, rolled into al-Izriya area, and knocked down residential and commercial structures owned by Sami Abu Ghalya without prior notifications. According to Halabiyeh the demolition process targeted a junk shop, a grocery store, a car laundry and a number of residential buildings. 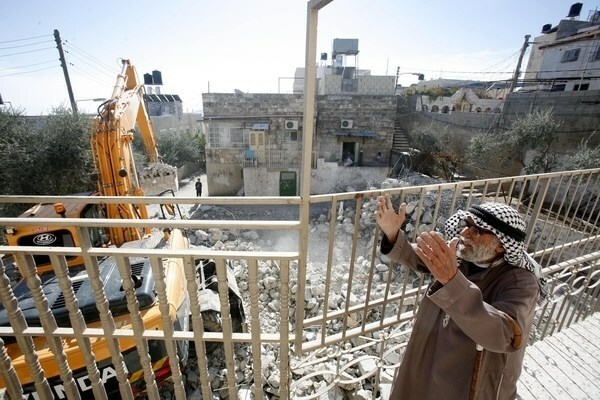 The Israeli bulldozes knocked down Abu Ghalya’s 100-square-meter home and another 20-square-meter home, along with seven commercial structures covering an overall area of seven donums, he added. He added that the Israeli occupation authorities demolished the same structures for the fifth time, forcing at least six family members to live on the streets and preventing 15 families from earning a living for their children. Local sources estimated the losses at over 6,000 shekels (amounting to US$1,560) in total. The Israeli Occupation Forces (IOF) launched at dawn Wednesday a large-scale raid and arrest campaign across occupied West Bank. 26 detainees were reported during the campaign. The PIC reporter said that 11 Palestinian youths were detained after Israeli forces stormed at dawn today Hussan town in Bethlehem. Clashes broke out in Bethlehem as IOF violently stormed several homes amid heavy fire of tear gas bombs. 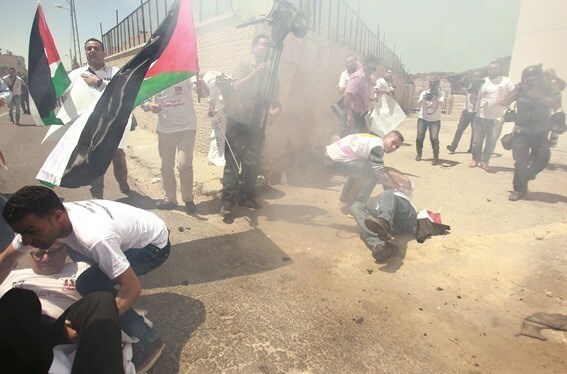 No injuries were reported during the clashes. In Nablus, 15 arrests were carried out when Israeli forces raided several towns east of the city. A state of panic prevailed among the local residents after IOF violently stormed several homes accompanied with police dogs. During the raid, IOF stole 21 thousand shekels and jewelry worth two thousand dinars from a local home after blowing up its door and detaining the family members in one room for several hours. In Jenin, IOF raided Yabod town and its surrounding areas amid threats to demolish Palestinian private homes. Palestinians in Yabod town have been subjected for almost two years to a collective punishment under the pretext of stoning and attacking settlers’ vehicles while passing near the town. Nearly 100 arrests were carried out in the town over the past period.